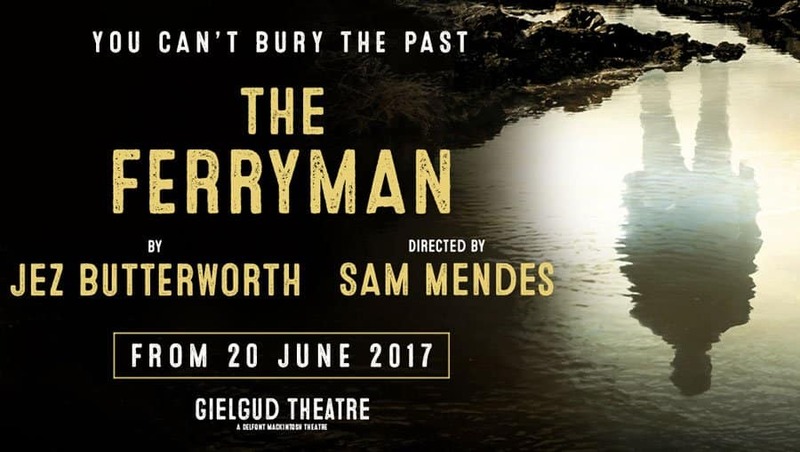 Sonia Friedman Productions and Neal Street Productions have announced new casting Jez Butterworth’s The Ferryman currently playing at the Gielgud Theatre. Directed by Sam Mendes, The Ferryman opened at the Royal Court to critical acclaim becoming the fastest selling show in the theatre’s history. The show has continued its success since transferring to the Gielgud Theatre where it is now booking until January 2018. The new cast of The Ferryman after October 7, 2017 will comprise Maureen Beattie – Aunt Maggie Far Away, Charles Dale – Father Horrigan, Laurie Davidson – Shane Corcoran, Fra Fee – Michael Carney, Stuart Graham – Muldoon, Sarah Greene – Caitlin Carney, William Houston – Quinn Carney, Ivan Kaye – Tom Kettle, Mark Lambert – Uncle Patrick Carney, Carla Langley – Shena Carney, Catherine McCormack – Mary Carney, Fergal McElherron – Frank Magennis, Conor MacNeill – Diarmaid Corcoran, Rob Malone – Oisin Carney, Dearbhla Molloy – Aunt Pat Carney, Glenn Speers – Lawrence Malone, and Niall Wright – JJ Carney. The company comprises 37 performers: 17 adults, 7 covers, 12 children on rota and 1 baby. The Ferryman is designed by Rob Howell, lighting by Peter Mumford and sound and original music by Nick Powell.